Thundershirt is the simplest solution for fixing excessive barking. 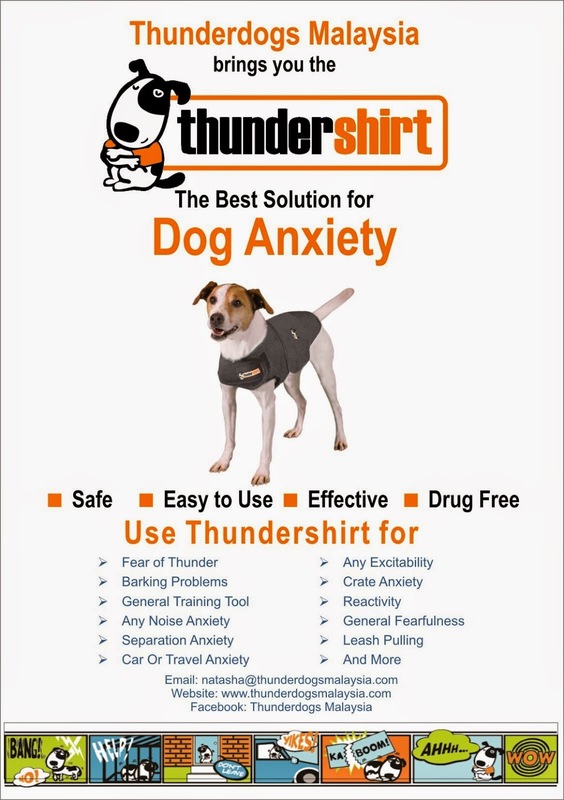 Thundershirt’s gentle, constant pressure has a tremendous calming effect, and this calming effect may be all you need to eliminate the problem barking. 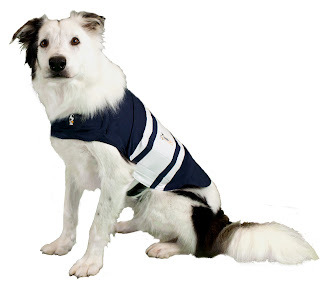 Or if necessary for your dog’s particular issue, Thundershirt can be an important part of a simple training program. See below for more information. But please don’t shock or spray your dog for problem barking… in most cases that will only bring about bigger problems!!! Below are some of the most frequently asked questions about using Thundershirt for problem barking. 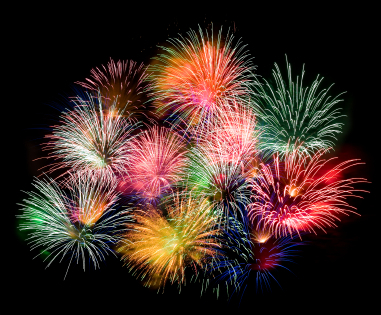 If you have any other questions you would like to ask, please contact us. If Thundershirt alone doesn’t resolve my dog’s symptoms, what training do you recommend? 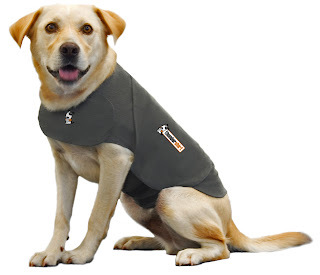 As mentioned above, a Thundershirt alone may be sufficient for your dog. But if not, we definitely recommend adding some simple training exercises with the use of your Thundershirt. See above for details on the training programs. For what types of problem barking will Thundershirt work? For many dogs, Thundershirt is effective for a wide variety of problem barking causes. Those causes include stress, boredom, over-arousal, fear, reactivity towards other dogs or people, and reactivity towards passing cars. Thundershirt should only have comfortable pressure on your dog. How do you judge “comfortable”? You should be able to easily slip you fingers under the Thundershirt. For the next straps, they should only be gently stretched… no pressure is needed around the front chest area; the benefit from Thundershirt comes from the pressure around the torso behind the front legs. When securing the torso straps, you should be stretching the fabric, but it does not require any strenuous force. Thundershirt is made out of durable, washable fabric. When necessary, Thundershirt may be washed in a regular cycle using regular laundry detergent and cold water. Hang to dry. Thundershirt is comfortable and safe to wear for extended periods without owner supervision. Is Thundershirt a good solution if my dog is deaf or blind? In many cases, yes! Deafness or blindness can cause some dogs to become “problem barkers”. They may be barking due to fear, boredom, loneliness or some other issue. But we have seen terrific results with Thundershirt for these cases. Will my dog eventually no longer need Thundershirt for problem barking? That’s very possible. As your dog learns to react to what stimulates her “problem barking” in a different manner through the use of Thundershirt and any training you undertake, she may no longer need Thundershirt’s help to calm down. Over time, your dog may be able to be a welcome and quieter member of the family all on her own! I started using the Thundershirt on all my kids in mid 2010 after it was recommended to me by top UK dog trainer - Sarah Fisher. I was skeptical at first, but after using it and achieving amazing results, particularly with Lucky - my most difficult dog, I am now a true believer. 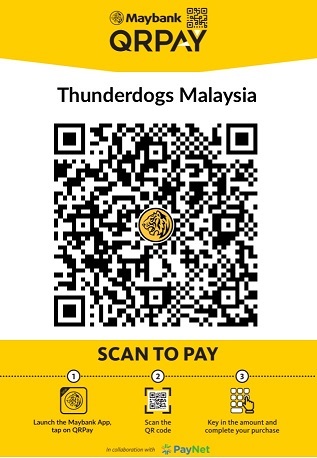 As such I have decided to bring in small shipments of Thundershirts to Malaysia periodically to help all dogs (and their owners) who suffer from anxiety or stress. * Please note that Thundershirt.com does NOT currently ship to Malaysia. Here are some pictures of my kids in their Thundershirts! ~Rascal - looking absolutely handsome! Lucky - having a walkabout in our garden after just a few days in the Thundershirt! Prior to this, he has NEVER set foot outside the house cause he was just too scared! Lucky - actually smiling while being outside!